The refugee crisis and Trump’s controversial executive order on it could be more easily resolved with one thing we just don’t have enough of—time. President Trump initially issued the order as a means of giving those who investigate immigration more time to better manage the process, as well as to create a set of standards on a country of origin basis. That order has been suspended and that’s left many wondering, what happens now? The visa process still needs to be updated to protect our borders. It also needs to be more efficient. Managing this on a mass scale is proving to be a challenge. Right now, to get a standard H1B visa, the wait time is about three to six months, depending on the person’s record. Only so many are given out and thousands are waiting, having already started the process. In addition, a percentage of those applications will be denied, meaning more time wasted on a growing problem. One way to improve this process is to better triage applicants so expensive investigation time won’t be spent on ineligible individuals. Extreme vetting is a valuable tool, but it’s also an expensive one. Currently, those who are seeking access to the US must complete an application process, along with a background check and interview. These cost money and take time—even if the application is refused. While the visa office indicates denials are rare, that’s not entirely true. It was found in one study that 30% of applications for specialty L1 visas were denied. Security issues – This is one you might compare to the “no fly” list. If the government has an individual listed as a threat to national security, they’re going to be barred. This is regardless of whether the individual was convicted of anything. Having a direct connection to a known terrorist organization, or anyone in it, is enough. Health issues – The US won’t allow in an individual with a health issue that could result in an outbreak. That means that individuals must be vaccinated against preventable diseases like measles, mumps, rubella, polio, tetanus, diphtheria, whooping cough, influenza type B and hepatitis B. In addition, this section bars entry to anyone whose mental or physical condition makes them a danger to themselves or others. Undesirable criminal history – When a background check shows a crime of moral turpitude or certain drug-related charges, the application will be turned down. It also bars any individuals with more than two convictions which resulted in a jail sentence of at least 5 years combined, regardless of the crime. Lack of documentation – This one limits the ability to travel in the US for anyone who doesn’t have proper ID. In some instances, this can be waived, like in the case of refugees and child applicants. Fraud – If there’s any material misrepresentation on a visa application, that application will be turned down automatically. However, the error must be from a desire to deceive the investigator, and not just an accident. Public charge risk – This is one that the US uses to turn down individuals who would move to the US and become a burden on the system. To enter the country on a visa, an individual must show they can take care of themselves financially and physically. Again, this is one commonly waived for child applicants. This is by no means a comprehensive listing of denials. Instead, these are some of the most common and ones which apply automatically. These denials enforce the minimum standards to stay in the US. The issue here is that applicants may not be truthful, which means that a lot of time and money is wasted finding out information that an applicant knows would have disqualified them, but this may be resolvable with a triage process. Right now, there are more than 4 million visa applicants trying to get into the United States. Putting every last one of them through the full review process would be impossible to do on a timely basis. One thing we do know is that a certain portion of those cases will be denied. The earlier the denial is issued, the more is saved on the investigation. That’s why approaching with a step-by-step triage process in mind could help to save a lot of time. Step #1 – Optional withdrawal via the honor system. 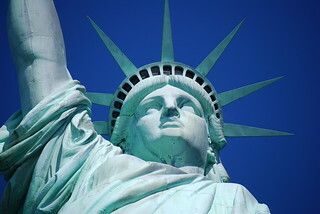 Prior to even putting in an application for a visa, the individual should be given a listing of disqualifiers that may keep them from being eligible for entry to the US. Making the requirements obvious will reduce people who apply without knowing they’re not eligible, as well as those who might hope to squeak past. Also laying out the specific investigation process will help to show that these investigations are thorough. An online application can be set up which will allow the reviewer to use web based filters to find applicants with issues. For example, the system could put “have you been vaccinated against mumps?” as a question. Any application that says “no” could be forwarded for manual review, to see if that answer disqualifies the person from entry. The first two steps may catch individuals who try to bypass checks and balances, as well as individuals who aren’t aware of the requirements. This third step is designed to identify high-risk individuals in the application process. The applicant could be asked to call a Remote Risk Assessment (RRA) call center. There, they will be asked to verify the accuracy of their application and that they answered truthfully. The RRA system would then measure their yes or no response, using proprietary signals processing. Those who are identified as high-risk during this part of the process would bear further scrutiny, while those who pass could be moved up the chain. Using triage to control the applications of those applying for US entry can speed the process while improving international relations. Technology can make this process much more seamless, which will significantly cut down on wait times and case backlogs. Finally, money won’t need to be wasted on unnecessary investigations. AC Global Risk offers RRA technology for use by government entities, as well as those in the private sector who may need to vet business contacts. This technology can make this mass scale extreme vetting possible, while providing highly accurate results. For more information on RRA, contact us.